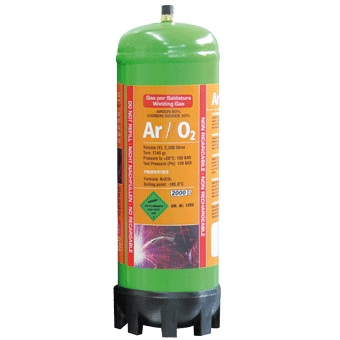 MaxxiLine 98% Argon 2% Oxygen (Mix) disposable gas bottles are suitable for most portable MIG welding machines. 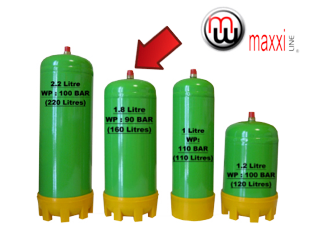 MaxxiLine 98% Argon 2% Oxygen (Mix) disposable gas bottles are a handy, cost effective alternative to stationary industrial size gas cylinders. 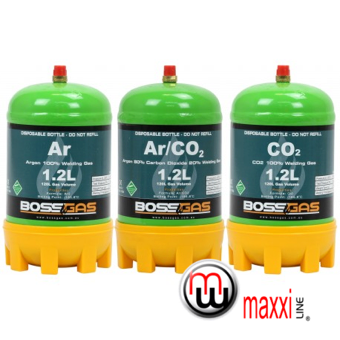 MaxxiLine 98% Argon 2% Oxygen (Mix) disposable gas bottles are Ideal for those situations where you don't use a lot of gas but need to have it for a particular job, or people who dont want to be tied into a gas contract. 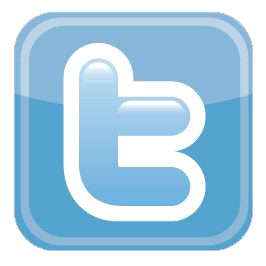 Ideal for taking on site for small odd jobs. 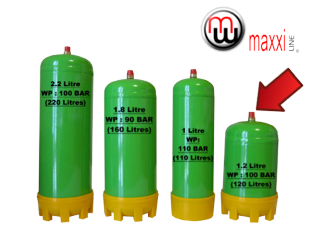 MaxxiLine 98% ARGON / 2% OXYGEN (02) gas bottles for MIG welding of stainless steel. 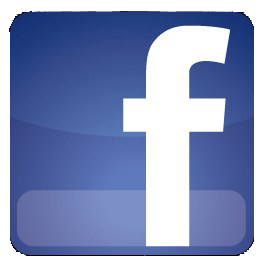 An Oxygen addition in Argon increases travel speeds, stabilizes the welding arc, and causesa more fluid weld pool. 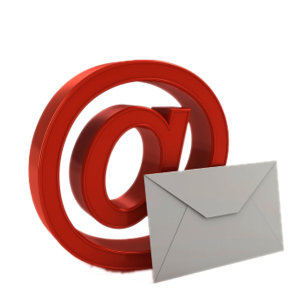 Selecting the proper shielding gas is as important as selecting the correct filler metal. 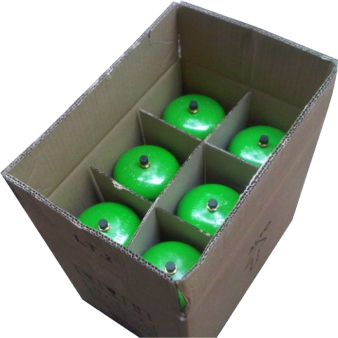 The correct shielding gas can help control weld bead profile, weld deposition rates, penetration into base metal and weld discontinuities. 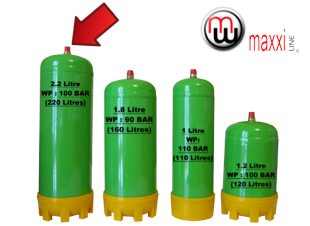 Most important factor when using the disposable gas bottles is to set the gas flow to the bare minimum, to obtain the maximum gas usage & welding time. 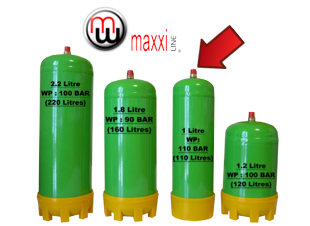 If you have any enquiries or would like further information on MaxxiLine 1.2ltr Argon/O2 (mix) MiniBottle click here.